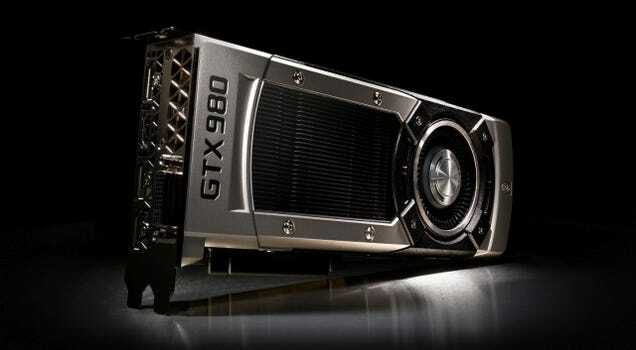 Over the past year, PC graphics cards have swelled to gargantuan proportions, with price tags to match: Nvidia's GeForce GTX Titan costs an incredible $999, to say nothing of the $3,000 Titan Z you might consider if your family is in the oil business. Today, Nvidia's trying something different: the new GeForce GTX 980 is not only the fastest card Nvidia has ever built, it's also incredibly efficient. Apple isn't the only one that's making its software a lot more secure, and erm, fed-proof -- Google's upcoming Android platform will apparently be encrypted by default, according to The Washington Post. The publication didn't clarify whether it's Android's full-disk encryption, which Google first rolled out in 2011, but it did say that nobody can access the encrypted device (not even the company), unless they know its four-digit pin. Does that mean users will be forced to nominate a passcode upon setup? We don't know for sure, but with encryption in place, Mountain View (just like Apple) won't be able to assist authorities in searching your phone, so long as you keep your passcode a secret. Company spokeswoman Niki Christoff told the Post that keys/passcodes are not stored online or anywhere off your device, so Google has no way to share them. Also, with this update, you won't even have to think or figure out how to switch encryption on, since you're protected from the start. Google has apparently been developing this Android L feature for months, because while feds generally can't search phones without a warrant, it wants its software to be more resistant to government snooping. Want a curved display from Samsung but don't quite have the scratch to bring one of its gigantic models home? Maybe try the 27-inch S27D590C monitor on for size when it releases at some ambiguous point in the future. 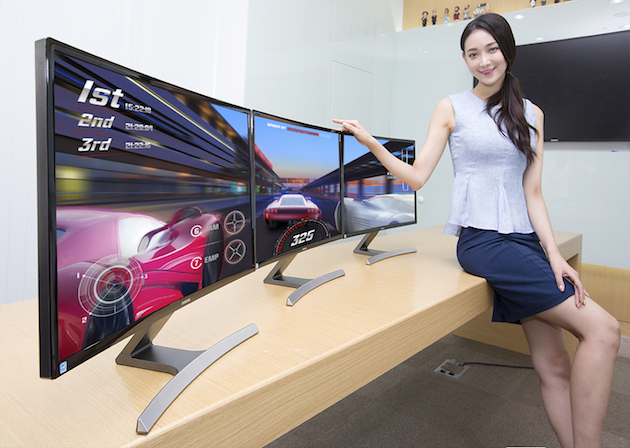 The firm seems to be targeting gamers specifically with the monitor, saying that the curve creates a wider field of view (178 degrees horizontally and vertically, if you're curious) and gives the screen a "3D-like" effect when you're playing shooters and racing games, among other genres. There's even a one-button game mode that makes a few adjustments to compensate for motion blur, color and contrast too. Unlike Dell's not-flat display, however, this one's limited to a paltry 1,920 x 1,080 lines of resolution and a 16:9 aspect ratio. This'll probably be fine for us commoners, sure, but it might not be enough for the PC Master Race. Just this year we've seen open data give rise to recreations of Denmark in Minecraft, the ability to compare cities at the same scale and also collections of geo-mapped tweets and traffic lights. But what about a practical application for all of that info, one that has a more tangible benefit to society, like, say, crime prediction? That's what the University of Trento in Italy had in mind with its "Once Upon a Crime" study. The researchers coupled freely available (and anonymous, aggregated) demographic and mobile phone data with real crime data to forecast where in London an infraction might occur. Just how accurate was it? The Italian scientists say that their predictive algorithm was on-point, accurately anticipating whether an area would have either high or low levels of vice, 70 percent of the time. No, it's not quite enough to let Chief Anderton and co. start running wild just yet, but it could be a way to help cities struggling with budget woes decide what areas need more (or fewer) police patrols. True or False: You don't go on Facebook anymore, because it's such a drag not being able to talk about your private jet's new upholstery. After all, a few of your old friends post regularly about student debt and (gasp) mortgage payments, and it'll make you look like an insensitive prick. 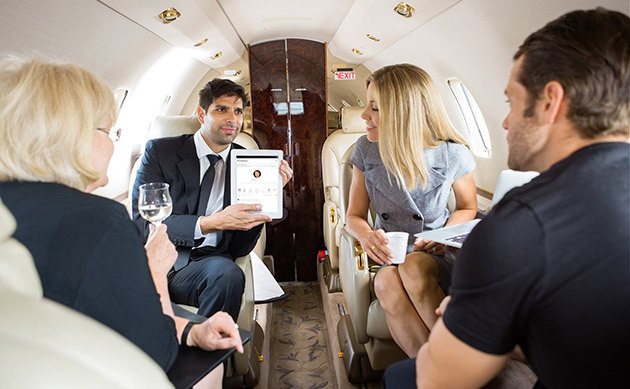 If you answered True, this new social network called Netropolitan hopes you'll be willing to pony up a whopping $9,000 up front to rub virtual elbows with the equally rich. Netropolitan's website describes it as "an online country club for people with more money than time" and is open to anyone over 21 with cash to throw around. There's no need to add friends, since you can see everyone else's post once you get it, but you can form groups around common interests (which, by the way, you can also do on Facebook for free). This new social network for the elite was created by James Touchi-Peters, a former conductor of the Minnesota Philharmonic Orchestra, because he "saw a need for an environment where you could talk about the finer things in life without backlash," according to CNN. He promises the website will show no ads and will offer a round-the-clock tech support to help you navigate the website. Netropolitan's still in its very early stages, but if it lasts, you'll have to pay a hefty $3,000 more per year to be able to stay. If the website's WordPress backend or .info TLD don't suit your taste, though, you can always choose from the other exclusive social networks. There's ASmallWorld, which was once described as the "MySpace for millionaires" and Affluence.org, which you can join for free if you can prove a $3 million net worth. Finally, there's Topcom, which is like Facebook, Twitter and Skype combined, but only for the top 200 world leaders. Amazon is refreshing its line of high-end Kindle Fire HDX tablets with a new 8.9-inch model that's faster and sleeker than its predecessor for the same price of $379. The Fire HDX has a quad-core processor with a graphics engine that's 70% speedier than the one in the last device. The Fire HDX 8.9 is also equipped to support super-fast Wi-Fi, and is the first tablet with Dolby Atmos, which means that when you listen to headphones, the sound will seem like it's coming from different directions. Even with the fast processor, the tablet's battery can support up to 12 hours of reading, watching videos, and listening to music, Amazon says. A new feature called Smart Suspend also helps the tablet save battery: It will turn your wireless connection on and off when it's not in use, so you'll still get notifications but won't drain the device. Amazon also boasts that the new device is 20% lighter than the iPad Air and that its display has 30% more pixels than the iPad's Retina display, making it super-crisp with beautiful colors. The screen also has something that Amazon calls "Dynamic Light Control," which means that it changes the white part of the display based on the light surrounding it to mimic as well as possible what an actual page of a book would look like. This makes it easier on your eyes because it's more like reading a normal printed book. 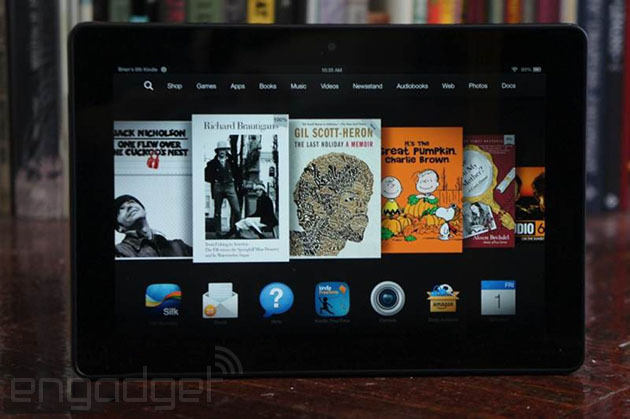 The Fire HDX tablet is running an updated version of Amazon's operating-system, a forked version of Android KitKat that the company is calling Fire OS 4 "Sangria." 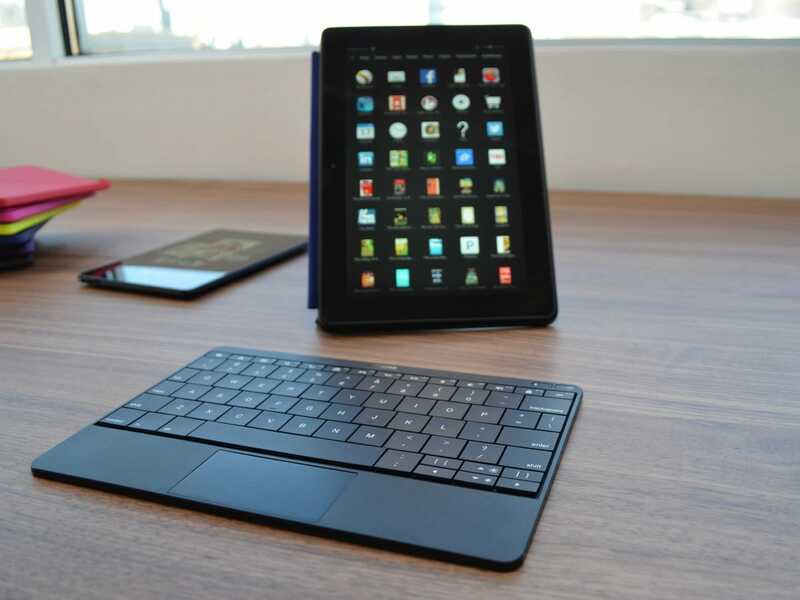 Like Amazon's new Fire smartphone, this tablet w! ill supp ort Firefly, a feature which lets users scan objects like books, movies, posters, QR codes, and household goods to give you more information about them or make a purchase on Amazon.com. Firefly also comes with a new translation feature: You can take a picture of something in a different language, and the tablet will spit out the English translation. One of the great features from Sangria is called Family Library. It lets family members easily share content like books, movies, and games, even if they use different Amazon accounts. This feature could come in handy, for example, if you and your partner wanted to read an e-book at the same time, but only wanted to buy one copy. Amazon is definitely marketing this device to families, so you can also create up to six profiles on each tablet — two "adults" and four "kids." Like the last Kindle HDX tablets, this new version has front and rear facing cameras, but it also come with free, unlimited cloud storage, so you don't have to worry about running out of space if you're a photo-fanatic. 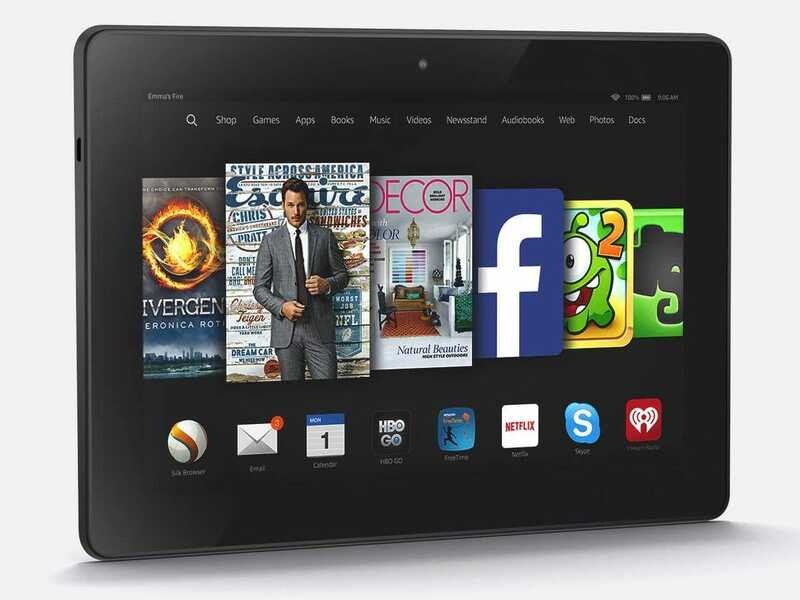 The Fire HDX 8.9 costs $379 and is available for pre-order now. It will start shipping in October. 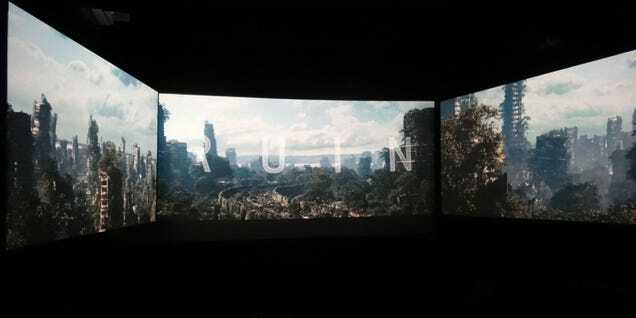 A 270-degree, wraparound triple-screen theater system has just begun rolling out to very select theaters nationwide—only five, in fact—with hopes of delivering an immersive movie-going experience that succeeds where 3D has so miserably failed. I got a sneak peek at the new technology recently and it's, um, really something alright. I'm just not really sure what that is. Internet stores can sometimes be far too optimistic about the time it takes to ship your order -- just ask the scores of gift givers whose packages arrived late last year. They'll have to be much more pragmatic from now on, though. The FTC has issued new rules requiring that retailers ship within a "reasonable" selected timeframe, or within 30 days if they can't provide a date. If they don't meet their targets, they'll have to either get your permission for a delay or issue a prompt refund. You can still change your mind even if you agree to wait, and saying nothing will still get your money back. 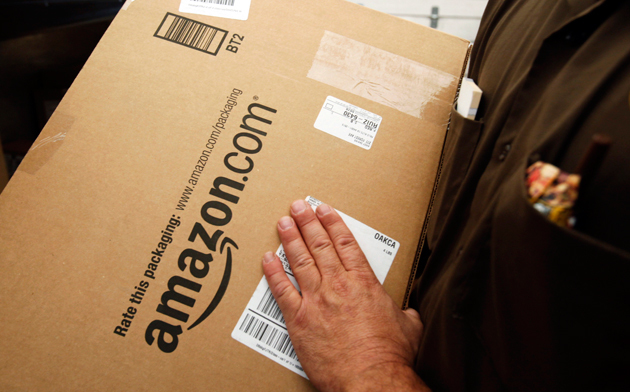 The new guidelines take effect on December 8th, so you can buy your holiday presents online with a little more confidence this time around. 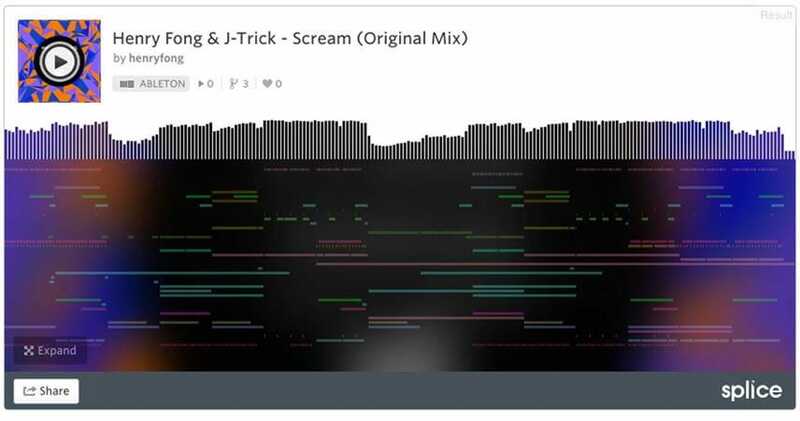 At the same time, Splice is moving into open beta and rolling out a new product called DNA Player along with a new track from artists Henry Fong and J-Trick. The DNA Player lets you see how a song was built while listening to it. It lets you look at all of the nitty gritty components that go into the song with annotations explaining each piece, and it helps artists visualize music's source code. "We built a platform that allows musicians to focus solely on the creative process without interruption and are excited to open up the beta to all musicians today," Martocci said in a press release. "We're thrilled to see music veterans alongside up and coming artists work with us in different capacities to bring the industry up to speed with technology." Would you trade quite literally all of your friends (and $49 shiny Canadian dollars) for a shot at a probably-mediocre virtual reality experience? AirVR, a Canadian company with an entire Kickstarter page all to itself, is thinking yes. 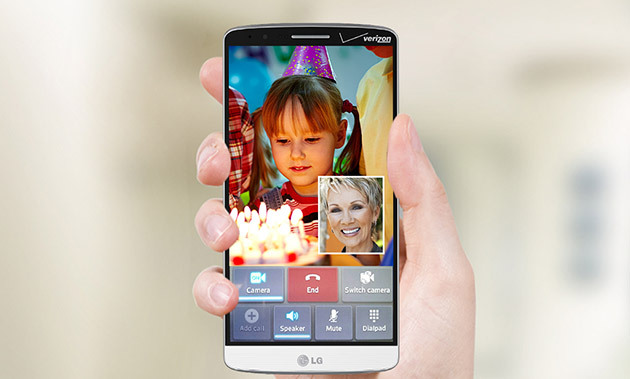 Verizon's HD voice and video chat feature is now live, just like it promised back in August. The carrier officially calls it "Advanced Calling 1.0," and it lets you make high-definition voice calls over LTE to other Verizon phones that also have the capability. Its video chat function, on the other hand, is a combination of HD voice and real-time video feed, though it can transfer the video portion of the call from LTE to Verizon WiFi when available. Anyone with a compatible device can access the feature at no additional charge, with HD voice costing the same as your standard call rates. Video, however, will be billed as data, with one minute eating up between six to eight MB. As great as Advanced Calling sounds, you unfortunately can't use it all the time -- as we mentioned earlier, it only works if you and the person you're calling are both using Verizon phones with the capability. The bad news is, there are only two compatible devices right now (the Samsung Galaxy S5 and the LG G2), though the carrier promises to add more to the list over time. If you do have those phones, simply install the software update that recently rolled out to your devices and follow the instructions on the Advanced Calling page to change your settings and enable the feature. 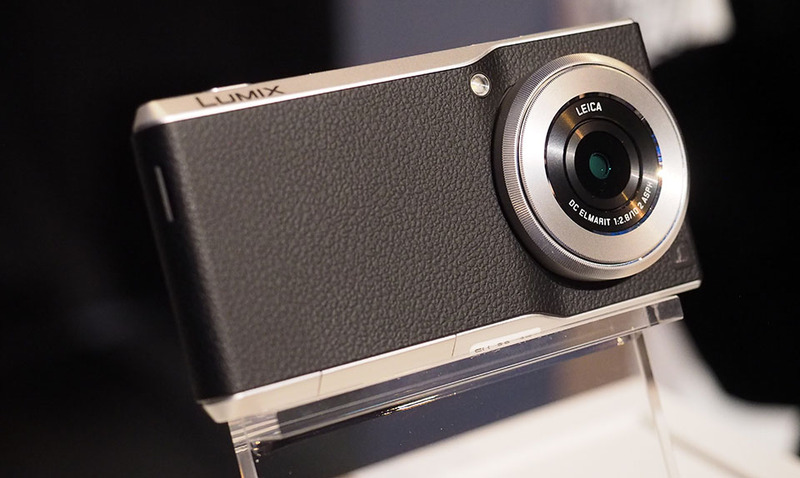 Leica just released an update to its X2 point-and-shoot camera here at Photokina. The X-E has a look and feel that's very similar to its predecessor, with comparable specs as well. There's a 16.5-megapixel APS-C sensor that, like the X model also announced today, can capture images with a level of quality that rivals that of many DSLRs. What you can't do, unfortunately, is swap in a different lens -- there's a 24mm f/2.8 optic permanently attached, which is what you'd expect given the light weight and compact size, but if you need to get closer to your subject, you'll need to walk forward rather than zoom in. As with all APS-C sensors, the X-E's has a crop factor of 1.5x, making that 24mm lens equivalent to a 35mm optic on a full-frame camera. 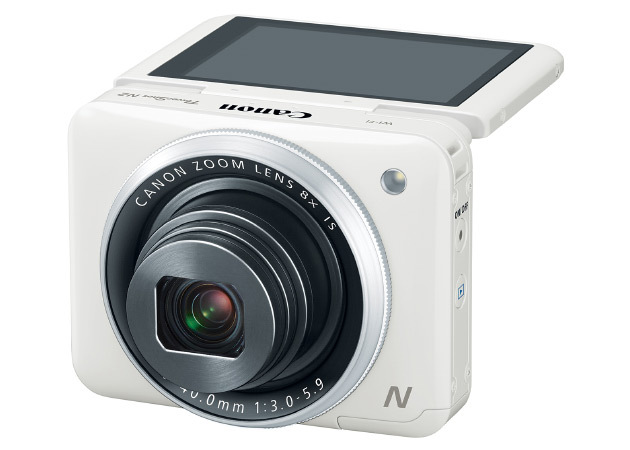 There's a 230k-dot (low-res) 2.7-inch LCD, a 5 fps continuous shooting mode and a top sensitivity of ISO 12,500. The X-E does not, however, shoot video, which is quite disappointing given the price. At €1,490 in Europe or $1,795 in the US, you might be better off spending an extra grand for Sony's full-frame RX1, but if a Leica's what you're after, this is a decent choice. The X-E is available now through select retailers. Both Fujifilm's X-T1 mirrorless and X100 compact cameras were widely lauded, so how could the company improve them without messing up a good thing? 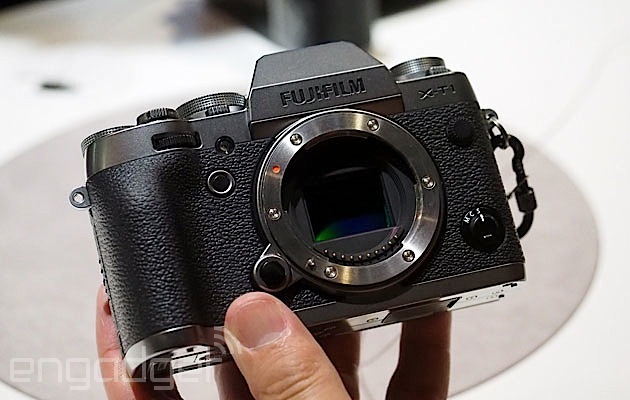 We'll talk about the X-T1 Graphite Silver Edition shortly, but in the case of the new X100T, Fujifilm's answer was to address its lone Achilles heel: the viewfinder. As we saw earlier, the basics of the camera, like the 16.3-megapixel X-Trans II APS-C sized sensor and 23mm f/2.0 lens remain the same. Though the lack of a zoom might dissuade some, the fast, fixed lens delivers high quality images and works great with the optical viewfinder (OVF). Though purists love OVFs, they bring certain problems -- namely, parallax issues on close-up shots and problems checking focus. Fujifilm has now addressed those problems with a new toy we've not seen on any other camera: a hybrid viewfinder. 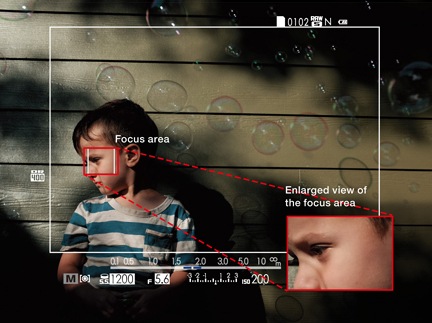 We saw it previewed earlier this year, but here's a reminder on how it works: you can shift between three viewfinder modes using a toggle at the front of camera. In the first mode, you have a 92 percent coverage optical viewfinder (OVF) with an overlay showing shutter, f/stop and other info. When you're shooting up close, where parallax can be a problem, the system automatically adjusts the frame border in real time so that you don't have to adjust after focusing -- normally a huge issue with OVFs. In pure EVF mode, there's a low-lag, 2,360K dot electronic viewfinder that shifts quickly from optical mode. Finally, the hybrid, or "electronic rangefinder" mode shows an optical view with an EVF inset into the lower right corner, allowing you to digitally judge exposure and focus. The parallax correction also works in this mode. In practice, it works rapidly and seamlessly, and switching between modes is easy with the front toggle. Though the quality of the EVF is good, switching to the OVF is jarring as you can instantly see how artificial an EVF actually is compared to a true rangefinder. But having the digital view in the corner is comforting, eliminating the nagging feeling that you've botched the exposure. Other tweaks include a "classic chrome" film simulation mode, easier-to-grip dials, new programmable functions, finer f/stop and exposure compensation dials, and 1080p/60fps video with manual focus. All of that should make the excellent X100T even better, especially if you like tweaking settings yourself -- as long as you can live without a zoom lens and don't mind paying $1,300 when it arrives in November. 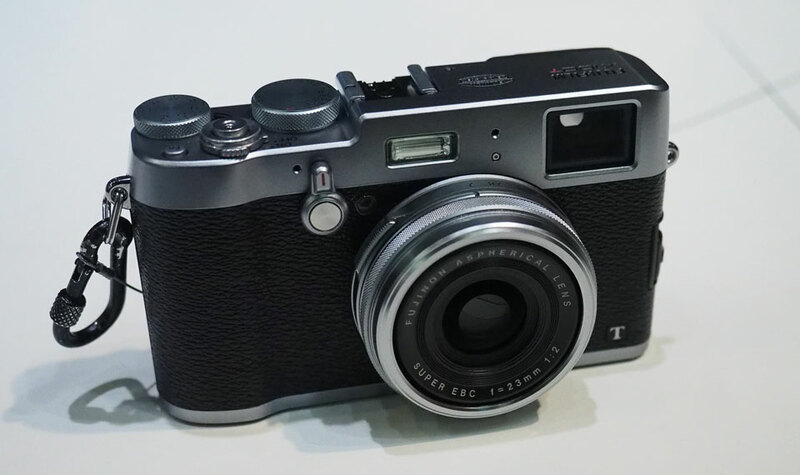 As for the X-T1 Graphite Silver Edition, the mirrorless camera has undergone more minor changes. Along with the new silver color, the shutter now deploys electronically and silently at up to 1/32,000 of a second, which could freeze even a jittery hummingbird. A fast shutter also means you won't need an NDF on a super-bright day, as long as you don't mind your subject having zero trace of motion blur. It's also got a new EVF that Fujifilm claims is more natural, and which we found to be relatively clear and free of lag. The X-T1 will arrive in November starting at $1,500 (body only) or $1,900 with an 18-135mm f/3.5-5.6 kit lens. 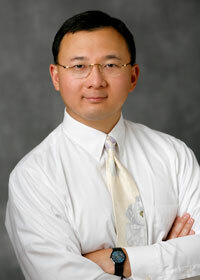 Daniel Cooper contributed to this report. Google has had tools for creating custom maps for a while, but they haven't been very accessible -- especially not if you've wanted to find your friends' creations. 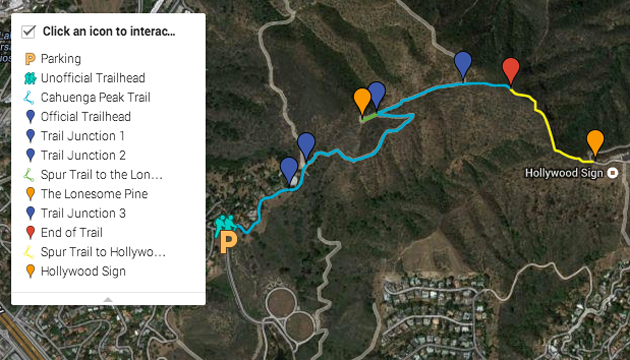 It should be easier to track down those hand-made tourist guides and trail markers after today, though. Google has relaunched Maps Engine Lite as the much catchier My Maps, and has expanded the Google Maps Gallery to include everyone's projects, no matter what their focus. So long as you want to make your cartography public in the first place, anyone can find it sitting alongside the Gallery's usual historic and government info. Google will transition every Maps Engine Lite user to My Maps by the end of the year, but you can upgrade early if you just can't wait to share your favorite bike path with the rest of the world. 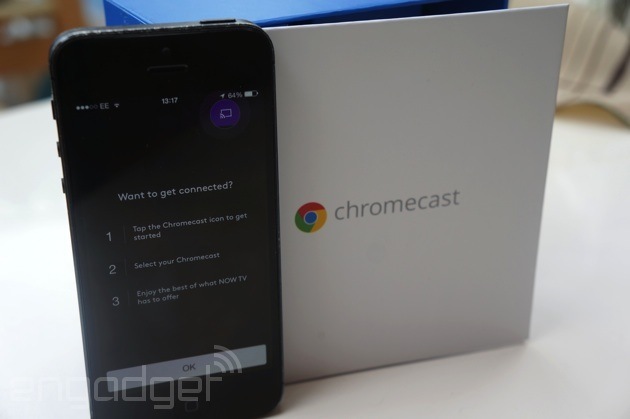 Heads up, Chromecast owners - your $35 media-flinging dongle just got a new infusion of oomph. Google announced on its official Chrome blog earlier today that users can now stream content from a slew of Disney apps (think WATCH Disney, WATCH Disney Junior and WATCH Disney XD for the young'uns) as well as iHeartRadio and Twitch (which just might be a little salt in the wound since Google couldn't quite make the deal work). You may rejoice if you're the type to binge on cheesy, over-the-top, emotionally charged television too since DramaFever's app have been given the same treatment -- now you've got another way to plow through your backlog of Coffee Prince episodes on a bigger screen. Can you think of a better way to spend a lazy weekend? We sure can't. "It would be really hard to make a trashy photo." That's the actual tagline for a company called Relonch, which just launched (correct spelling) a camera case for iPhone 5 and iPhone 6 at Photokina today. Normally we'd dismiss such a product as vaporware, but this could end up being a pretty nifty gadget, if it ever makes it to market. Once you slide your iPhone into the $499 jacket, you'll have access (via the Lightning port) to an APS-C sensor and a permanently affixed f/2 (or better) lens. The version above is just a mock-up -- we did see a working prototype (it performed very well), which is simply a hodgepodge of "parts from different cameras." The final version will also serve as an external battery for your smartphone, enabling more than four hours of use. That all sounds great, but there are two major challenges here. First, the company is targeting "late 2015" for orders to ship, which means your iPhone 6 will probably be a year old by the time you get this case. Given that each version is designed to fit only one phone, you'll need to buy a new case whenever you upgrade your phone, unless the next iPhone has an identical footprint to the current model. Additionally, Relonch will charge your credit card for $499 as soon as you place an order, and given that you're sending funds to a company with no track record of delivering products, handing over half a grand is risky at best. Fortunately, there are other solutions on the market. Sony's lens cameras, which, while not quite as seamless and elegant, work with just about any smartphone, and they're available today. The QX1, which ships in November, even includes an APS-C sensor, which should get you comparable results depending on which lens you attach. You could also consider Panasonic's CM1 smartphone, which includes an integrated one-inch sensor and an f/2.8 lens. If we were to cherry-pick one major fault from our NVIDIA Shield tablet review, it would definitely be the slate's storage space -- 16GB just isn't enough for a device built for gaming and media consumption. If you were holding off until the company put out a larger capacity version, your day has come: NVIDIA just announced that the 32GB LTE variant of the Shield is now available for pre-order. $399 buys the unlocked LTE tablet in its own right, but NVIDIA tells us that AT&T will be offering it for $299 on contract. 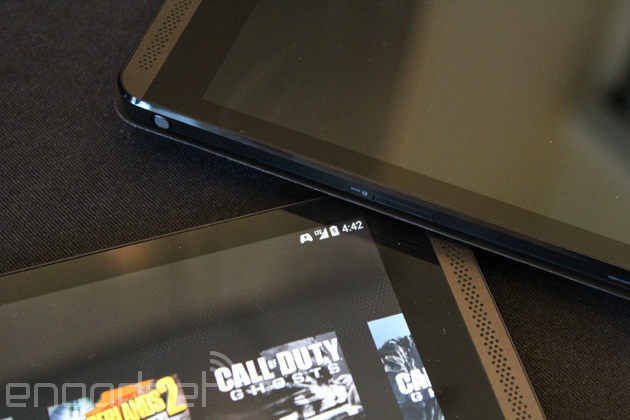 We dropped by NVIDIA's Santa Clara offices for a quick demo earlier this week and found exactly what we expected: last month's gaming tablet with lighting fast wireless connectivity. Naturally, like most LTE devices under ideal conditions, it performed admirably -- successfully streaming games from NVIDIA's GRID and a remote PC over the cellular network. The company is also announcing the availability of three new Tegra K1 optimized games: Beach Buggy Racing, BombSquad and Broadsword: Age of Chivalry. Sounds good, but you'll have to wait until next month to play if you're ordering today -- new tablets don't start shipping out until the September 30th. You probably know that you shouldn't shoot vertical videos on your smartphone—but everyone else does it anyway. 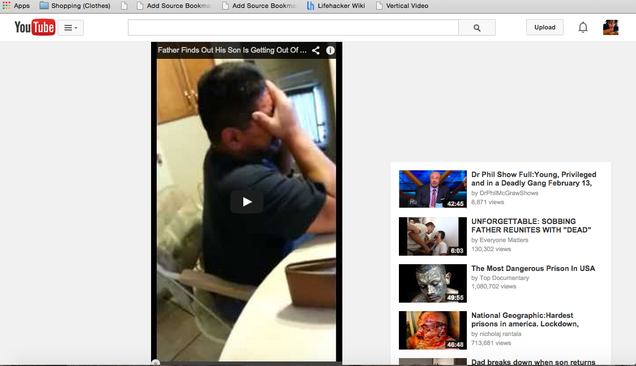 This simple bookmarklet rotates the video window for you so you don't get a tiny letterboxed version. Once you add the bookmarklet to your bookmarks toolbar, you'll be able to just click it whenever you come across a vertical video on YouTube. It will instantly take away the black space as well as enlarge the video to make it easier to view. It's pretty cool, and a quick fix for the ever-annoying vertical issue. Hit the link below to grab the bookmarklet—bust drag and drop the button to your bookmarks toolbar..
Google's as-you-type search suggestions have only offered the tiniest bit of help so far. They can handle basic math, but they won't answer questions that require more than a few numbers. However, that might soon change. Chrome for Android now has an experimental feature that answers some of your queries before you've even finished asking. Switch it on and you can get the weather, historic dates and other valuable info without ever seeing Google's usual results page. 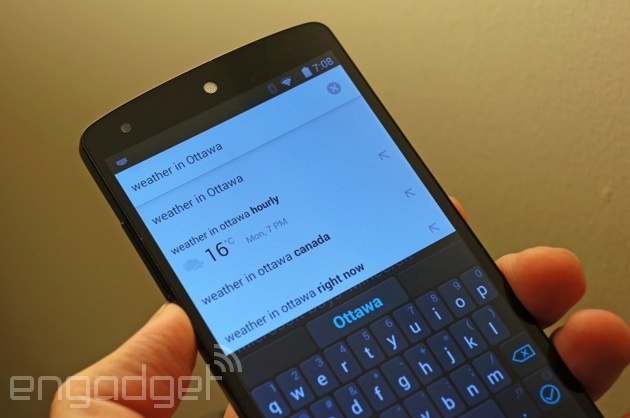 While the feature isn't all that vital when you have access to Google Now, it may save you the trouble of switching apps (or leaving the page you're on) when you just want to get a small factoid. There's also no hint as to when Google might make the feature standard on Android or bring it to the desktop, but let's hope that an upgrade comes soon -- it could save a lot of unnecessary keystrokes. Next time you come across a Kindle e-book link somewhere other than Amazon itself, you may want to make sure it's not some dubious website before you hit download or "Send to Kindle." A security researcher by the name of Benjamin Daniel Musser has discovered that the "Manage Your Kindle" page contains a security hole -- one that hackers can take advantage of with the help of e-books hiding malicious lines of code. Once you load the Kindle Library with a corrupted e-book (typically with a subject that includes <script src="https://www.example.org/script.js"></script>), a hacker gets access to your cookies, and, hence, your Amazon account credentials. Based on the updates Musser wrote at the bottom of the report's web page, he first discovered the flaw in October last year. Amazon patched it up shortly after he reported it, but it made its way back after a "Manage Your Kindle" overhaul. Still, he believes the issue should be easy to avoid, so long as you don't download e-books (pirated or otherwise) from websites you don't know. Aside from Kindle, another Amazon-owned service was also thrust into the spotlight earlier for exhibiting a security flaw. Audible, the company's audiobooks service, apparently allowed users to use fake emails and credit card numbers in order to download as many files as they want. An Audible spokesperson stressed, however, that transactions made using fake credit cards were "closed quickly" and that the service takes credit card fraud seriously. 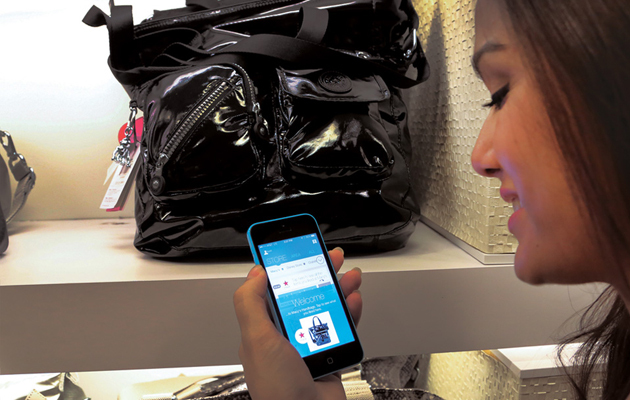 Macy's experiments with location-sensitive shopping have apparently paid off -- in the wake of a successful trial, the retail behemoth has unveiled plans to put iBeacons in all of its stores. Once they're activated this fall, you can get discounts and other promos on your iPhone as you wander through the store; you only need to install the Macy's app and keep Bluetooth turned on. There will only be regular deals at first, but an upgrade in the spring will offer department-specific discounts. You may get a special deal on a coat right as you're swinging by the men's or women's clothing sections, for instance. You're probably not going to go out of your way to shop at Macy's just to see bargains appear on your mobile screen, but this could be a useful perk if you're already a frequent customer. Less than a week after Apple unveiled the Apple Watch, we're learning about how the tech goliath came up with its newest product category. 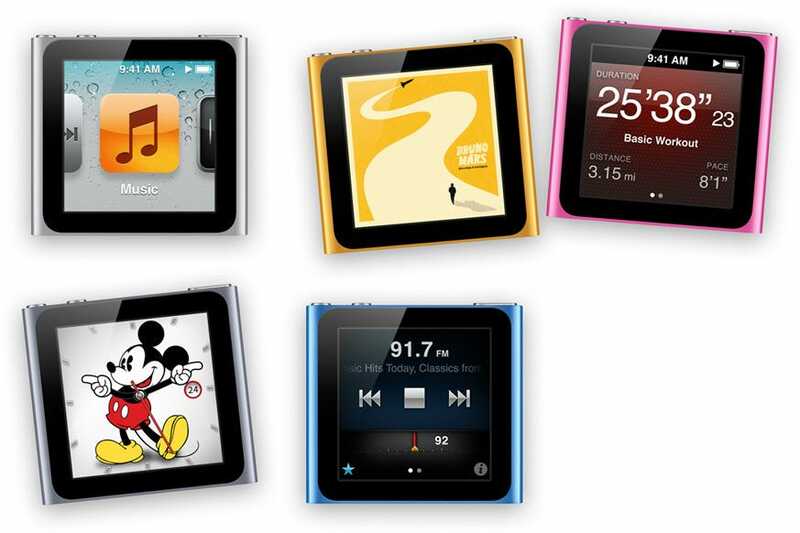 The Apple Watch was inspired by the 2010 iPod Nano, according to the New York Times' Brian X. Chen. 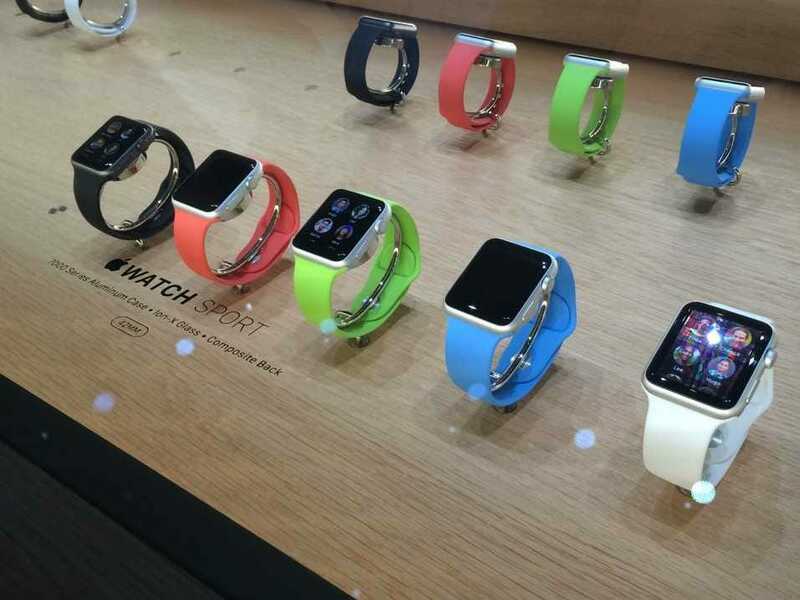 "The watch, according to a former Apple designer, had its origin with a tiny iPod Nano Touch, introduced in 2010," writes Chen. "People attached a strap to the minuscule media player, and wore it on their wrist, listening to music while jogging." Apple has clearly made an effort to burnish the Apple Watch with a luxurious face, but the genesis of their smartwatch is completely evident. The race to make the most capable camera in the smallest possible package is a death-match of features versus size. Panasonic has a notable new gladiator in the LX100, which combines a large(ish) micro-four-thirds sensor with 4K video and a lens to be reckoned with. From about 2009-2012, Canon's S-series point-and-shoots were the best tiny little cameras you could buy. Then, Sony's RX100 line conquered it with similar functionality, but a much larger 1-inch image sensor that blew Canon's dinky 1/1.7-inch chips away. 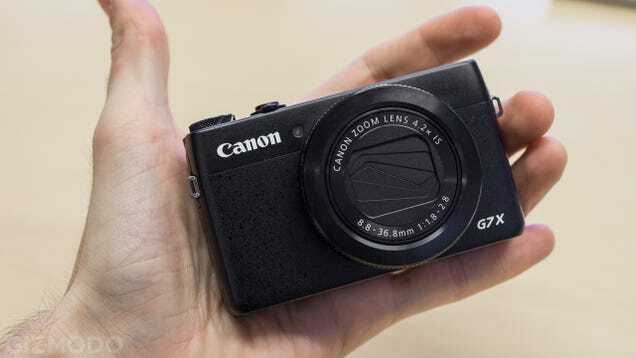 With the PowerShot G7 X, Canon strikes back. Last year's Panasonic GM1 was an absolutely tiny camera with interchangeable lenses. It seemed like a curious design, because once you changed lens from the kit pancake to a normal-sized lens, it turned out to be not-so-tiny anymore. That hasn't stopped Panasonic from pushing out a similarly small follow-up, the souped-up GM5. Amongst Panasonic's big announcements the Photokina show in Germany came a whopper of a surprise. The Panasonic CM1 is a 4.7-inch Android smartphone with a 20-megapixel 1-inch image sensor. This could be the best smartphone camera of all time. 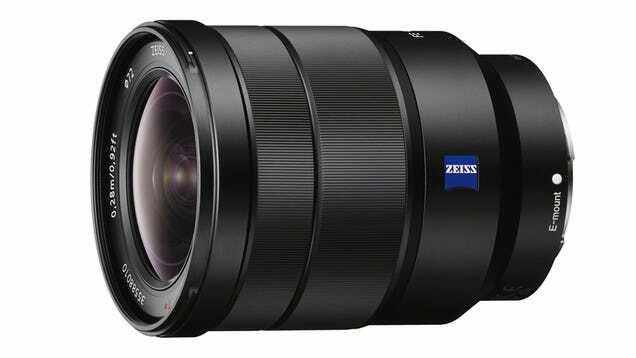 Sony's trio of full-frame mirrorless cameras, the a7, a7r, and a7s, are wonderfully capable machines . Unfortunately there just aren't that many native lenses to choose from. Today, a new super-wide zoom enters the fold that will hopefully make these slick bodies more appealing, with some primes on the way. Compact, point-and-shoot cameras are dying, simply because people would rather use smartphones and tablets to snap their dinner and instantly share them to Instagram. Unfortunately, that's a segment of the market that Panasonic abandoned (at least in Europe) back in 2013. That left the company without a convincing rival to the Lumia 1020 and Samsung's various phone / camera hybrids. That's why the company has now launched the DMC-CM1, a "connected camera" (i.e. a smartphone with a proper lens) that's capable of taking 20-megapixel stills and record 4K video thanks to a one-inch MOS sensor. For its part, Panasonic knows that the device won't beat equivalent smartphones on a spec-for-spec basis. 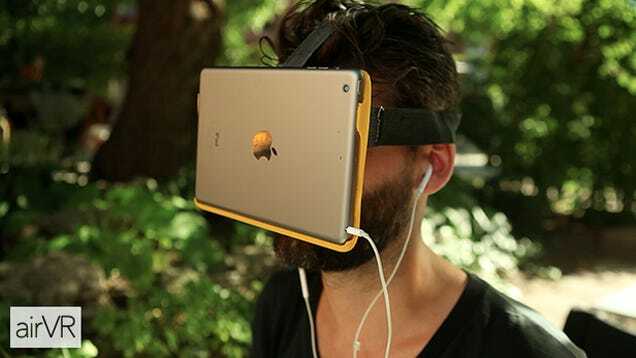 Instead, it wants people to concentrate upon the photographic equipment that's been crammed into this slender device. Perched atop the aforementioned one-inch sensor is an f/2.8 Leica DC Elmarit lens. The lens is fixed, but works equivalent to a 28mm zoom lens, packing an aperture that'll run all the way up to f/11. A manual control dial runs around the lens, which you can assign to a function of your choice, lending this an old-school feel. In fact, the CM1 looks like the Lumia 1020 by way of Dieter Rams, all austere chrome with cracked-leather style back, and has a weird retro-futuristic look that's tremendously attractive. On the surface of it, it's no slouch in the phone department either, packing a 4.7-inch full HD touchscreen that'll offer full manual control of your images. Sandwiched between the frame is a 2.3GHz quad-core Snapdragon 801 with 2GB RAM and Android 4.4. The 16GB of internal storage can also, thankfully, be improved with microSD cards up to 128GB in capacity. Battery-wise, there's 2,600mAh unit lurking inside the hardware, although we'd be concerned that it won't hold enough juice to get you through a full day of snappin' and callin'. If there is one downside, it's that the CM1 is only earmarked for release in France and Germany of Christmas of this year. Still, we imagine that plenty of camera enthusiasts will be racing to get back in contact with some long-lost Gallic grandmother in the hope of scoring one of these as a present. Voice calling is definitely , definitely coming to WhatsApp and what's more, it's round the corner. A reference to the feature was spotted in the latest iOS update to the app by NDTV Gadgets, an Indian news portal. Ever since Google announced that it's complying with the European Commission's "right to be forgotten" ruling, it's been inundated with requests to take down all sorts of search results. Many of those sought to bury negative reviews or write-ups, but in this particular case, the search result Google took down was neither negative nor damaging. In fact, it used to lead to a five-year-old article published on Worcester News, which called the piece's subject (an artist by the name of Dan Roach) "excellent" and "very talented." 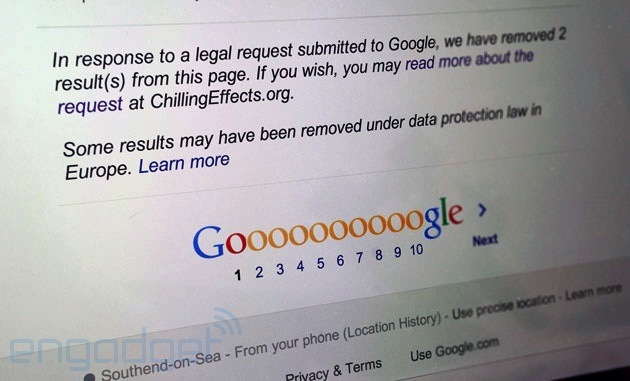 That's right -- you can apparently ask Google to remove anything from its results pages in the European Union, even if it's not dangerous or offensive... and maybe even if it's helpful to some people. Worcester News editor Peter John was so dismayed by what happened, that he called it "the most absurd and silly piece of censorship" when he talked to The Guardian. If you're wondering, it was likely Roach himself who asked the tech giant to remove a link to an article that describes him as a brilliant artist, based on the statement he gave Worcester News. Roach, who's now fully experiencing the Streisand effect, said: "The decision to ask for the link to be removed from Google was based on no more than a wish to highlight my new work, rather than the old." John, however, couldn't help but question why the request was granted. An artist wanting to remove part of his back catalogue did not strike us as the sort of principle that the European court of justice had in mind when it came up with the right to be forgotten ruling. Would Google remove early Hirsts or Monets on request? To be fair, Google itself was opposed to the EU Commission's ruling from the start, but it had no choice but to comply. As if Android apps hitting Google's Chrome OS wasn't enough excitement for Mountain View's operating system for one week. 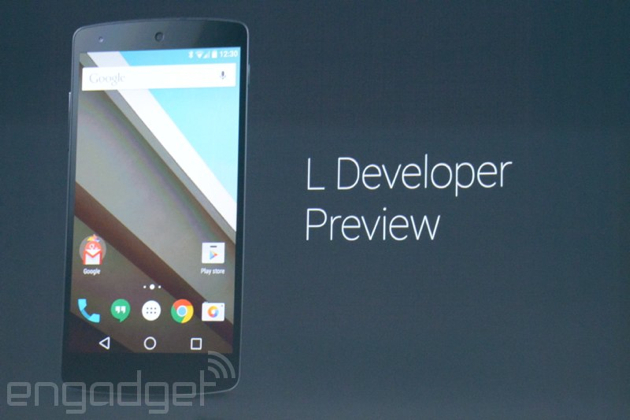 Now, you can play movies stored in Google Drive via the OS' video player app on your Chromecast. According to Googler François Beaufort, doing so is pretty easy too: simply open the Files app, select a video clip from Drive and hit the sparkly new Cast icon. 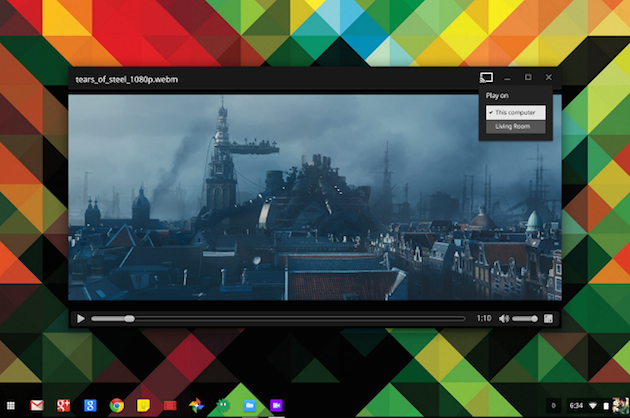 Voila, cloud-stored videos are now viewable on the biggest screen in your house and even more media functionality for your Chromebook. Of course, since this is in the developer channel there might be a few bugs here and there -- if you spot 'em be sure to let the Chromium team know.